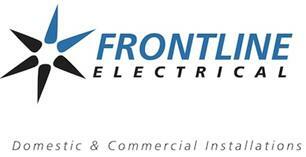 Frontline Electrical London Ltd - Electrician, PAT Testing based in Cheam, Surrey. Frontline Electrical offers a reliable and trustworthy electrical service, specialising in domestic and commercial electrical work. From design and installation to testing and commissioning you can be assured of our best attention at all times. We cater for jobs of all sizes. Whether installing a new single socket or planning and managing a commercial new build, all advice, quotations and tender packages are offered free of charge. Frontline Electrical are registered with “NICEIC” and “Trust Mark” giving you peace of mind. We work throughout London and the home counties. All work at Frontline Electrical is completed to the highest standards and in accordance with approved document Part P of the building regulations. All our quotations are completely FREE of charge, there is no obligation. Please don't hesitate to contact a member of our team who will be more than happy to help you with your requirements. Please mention Checkatrade when calling. Greater London and surrounding counties.